Real Time ultrasound imaging is used for the assessment and rehabilitation of deep muscles which are often difficult to activate correctly or to see or palpate externally. 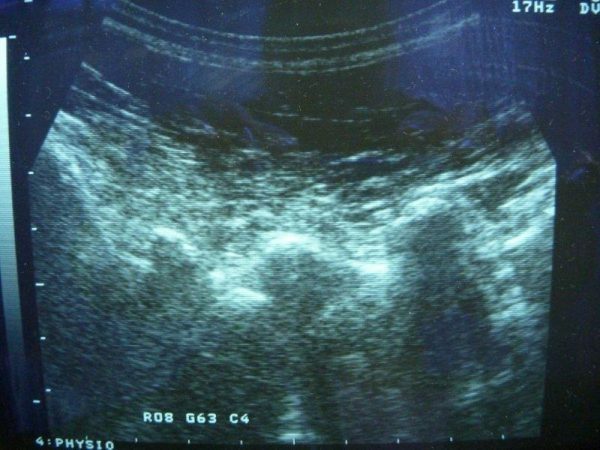 Real time ultrasound is completely non-invasive and uses a probe placed over a body area to provide images of the muscle and structures below the surface in real time. Real Time ultrasound imaging is also used to assess and rehabilitate dysfunction of the pelvic floor, lower back, hips and pelvis. We are able to ensure patients are activating the correct muscles in the correct way, which is a great learning tool to effectively rehabilitate the deeper stabilising muscles which can often be difficult to “feel” to the patient. For example, we often find although patients think they are ‘lifting’ the pelvic floor up, we can see them doing the opposite and bearing down! The deeper, core stabilising muscles consisting of the diaphragm, pelvic floor, lumbar multifidus and transverse abdominals play a key role in providing strength and stability for the lumbar spine as well as support for sports and activities using the upper and lower limbs. Errors in overuse or underuse of these muscle groups can create imbalances and therefore contribute to pain and injury. Through accurate assessment, we are able to provide an individualised diagnosis and treatment plan based on exactly what we see.